UK website Rock, Paper, Shotgun is one of the few outlets that focus purely on PC gaming. Its writers don’t necessarily focus on breaking news, instead putting their talents toward spotlighting games. Its podcast of the same name follows the same formula, with a rotating roster of hosts who put a lot of heart into their content. If you are looking for something focused on current PC games (AAA and indie), this may be the podcast for you. It does cover games that are cross-platform, but always from a PC platform, so if you’re a console-only gamer, you’re not the target audience. Rock, Paper, Shotgun’s main hosts—Philippa (Pip), Adam, and Brendan—are very pleasant to listen to and very thorough in their reviews. So many podcasts have hosts that don’t play games extensively; they might only play only a couple of hours, and try to give an opinion about it. RPS, on the other hand, will discuss the same game over multiple episodes and put the time in that is needed to give an educated opinion. They typically discuss every aspect of a game, so much so that they can get really in-depth on a specific detail of a game—it’s possible you may get a bit lost when they do so. It doesn’t happen very often, but I do find myself rewinding every once in a while to figure out what they are discussing. RPS doesn’t have a structured format; the hosts mainly discuss what they are playing and may sprinkle some PC news in there. That said, they usually have a different topic each week they focus on, from pets in video games to replayability, each of which is tackled with energy and humor. One of the best things about RPS is that despite its informal structure, it stays on topic. Unlike the podcasts that have a 20- or 30-minute introduction because of the hosts rambling on and on, RPS gets right to the subject at hand. One of the best things about RPS is that one of its main hosts is female. Female voices in the video-game industry are few and far between, and it’s really hard to encourage a new generation of female gamers when they are met with so much backlash. Pip isn’t a token host, either—she is seen as an equal to her cohosts. It’s an absolute delight to hear another woman gushing over video games and not being talked over. She is one of the reasons why I listen to this podcast weekly. Rock, Paper, Shotgun may not doing anything groundbreaking, but it’s a well-rounded, discussion-based podcast with hosts who work well together. They have a lot of fun and great chemistry on the show, they are well informed, and they put a lot of time into the games they discuss. The show is a great listen for PC gamers. To listen, visit soundcloud.com/rockpapershotgun. 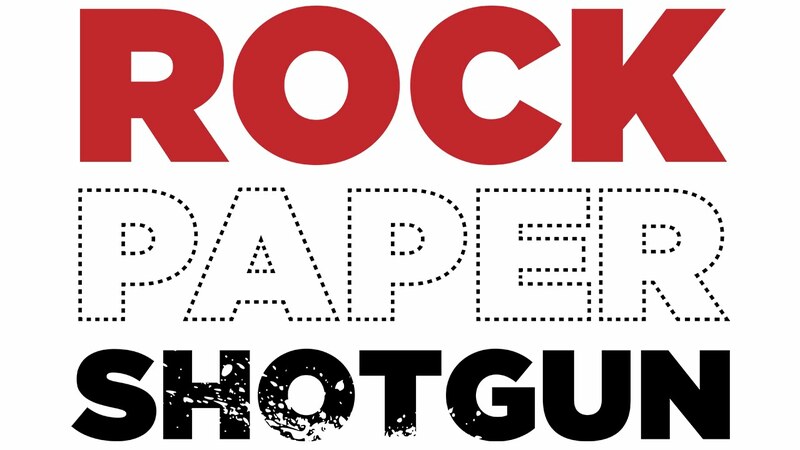 For the main Rock, Paper, Shotgun site, go to www.rockpapershotgun.com. Thanks for the post! I’ve been an RPS reader for a few years now, and based on your review I’m definitely going to check out the podcast. Awesome! Thanks for checking out my review! I’ve just discovered this podcast too. I’m a longtime reader of the site and it’s great to put voices to the names. If you like this then also check out Crate and Crowbar, essentially the sister podcast of RPS who has promoted them on their site, which now features Pip as a regular. The Daft Souls podcast (which sadly seems to be on indefinite hiatus at the moment) also occasionally features Pip. They also have Kezza McDonald on from time to time as well, who is simply *fantastic*. Kezza had a huge role to play in bringing Demons Souls / Dark Souls to Western attention. She’s a great female voice (as Pip is, of course) in games journalism.